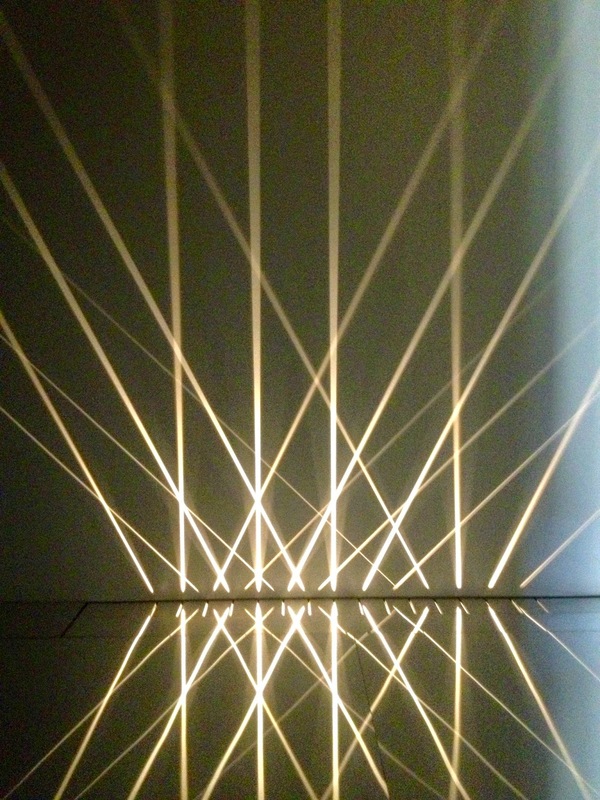 Julio Le Parc is known for creating artworks that dynamically animate and transform space through light. Featuring seminal installations and interactive works from the early 1960s to the present day, Le Parc’s playful and mesmerising exhibition transformed the Gallery and actively involved visitors. Le Parc began to make geometrical abstract paintings in 1959 based on pre-determined systems, first in black and white, then in colour. 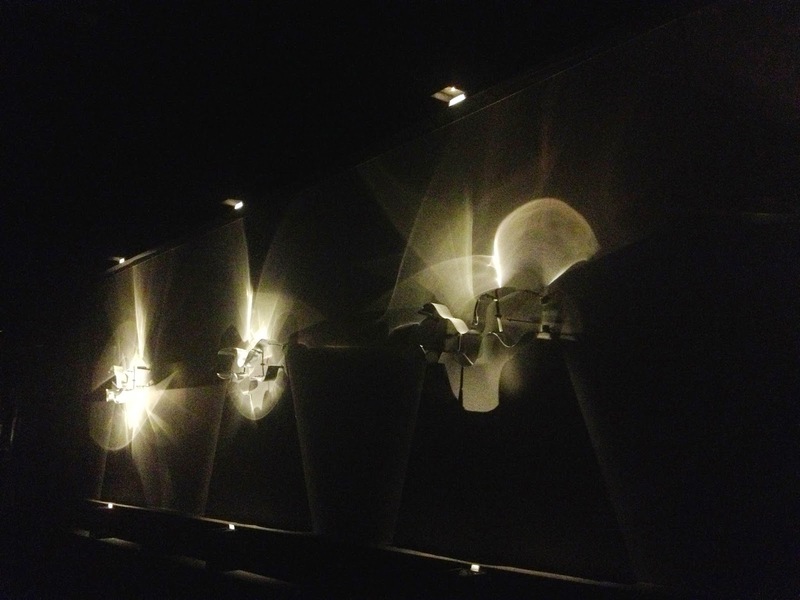 In the early 1960s he began working in three dimensions, incorporating moving, projected and reflected lights. From 1964 onwards he began producing works based on distorting mirrors and the displacement of the spectator by means of labyrinths and play rooms. The exhibition at the Serpentine Sackler Gallery highlighted the different dimensions in Le Parc’s works, from his politicised drawings and interactive works to his iconic light installations. Experimentation with light as well as the physical involvement and visual stimulation of the spectator have been crucial throughout Le Parc’s career. Here is the description about the artist I found on the website of Serpentine Galleries. To be honest, I barely knew a thing about this artist before I went to the exhibition. So this information is for me to study. The following is made of acrylic sheets, hung down from the ceiling. The sheets kept turning in the air, reflecting the scene around. As to this work, the light came out from several thin gaps, changed by the mechanism underneath. 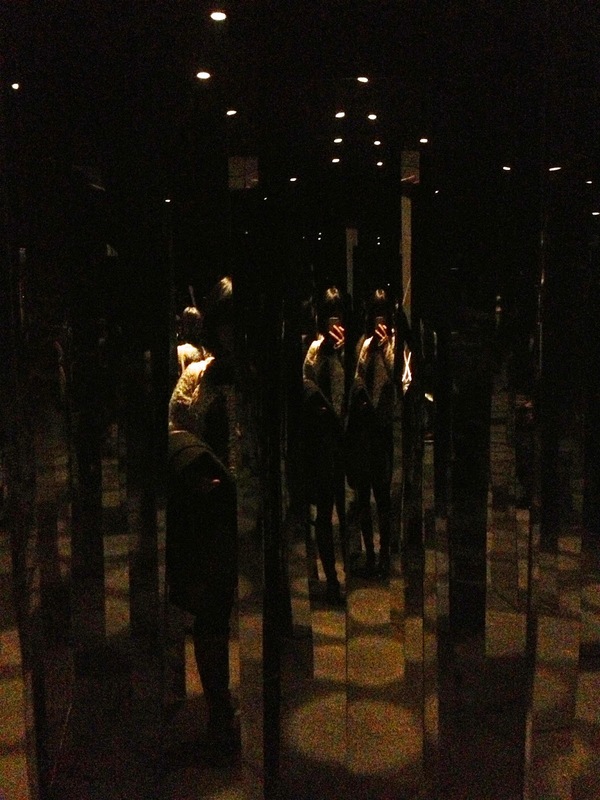 This room was filled with mirrors hung in the air. It was hard for me to tell it was path or mirror in front of me that I kept knocked by the mirrors. I was surrounded by endless broken images, which were changing and swinging every second. I had to leave the room because of my headache, but it was interesting to be there. This one is one of my favourite in the exhibition. These thin and almost transparent soft fabric were hold in the air, and some weight was given to each of them to keep them straight. The swimming light strings in the photo were created by a mechanism in the middle. 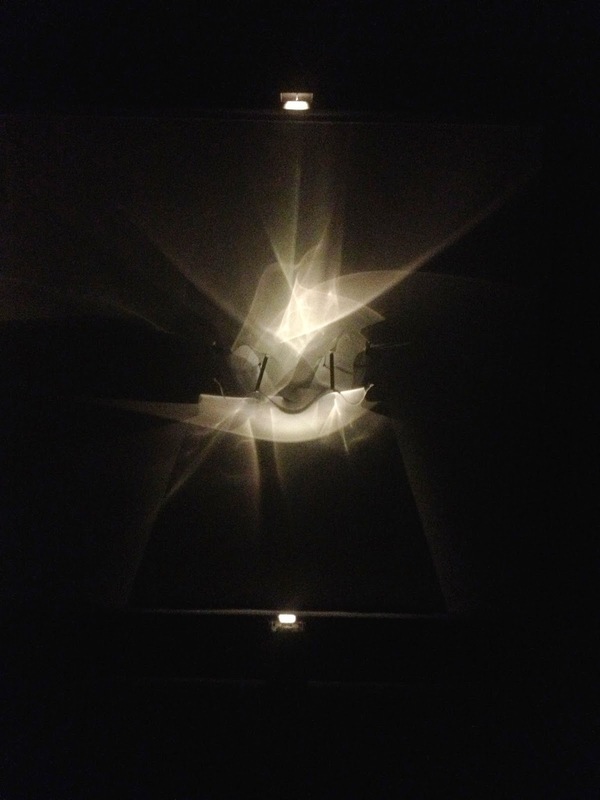 It was like a light in the centre, rotated by a template with hollow patterns. I like the quality of the thin fabric, as well as the pale yellow light. The work gave me a sense of vividness, while tranquilly. These three pieces are also my favourite. A flexible metal sheet was controlled by some mechanisms that it kept changing its form, like a moving snake. Then two lights shined on the metal from above and blow. 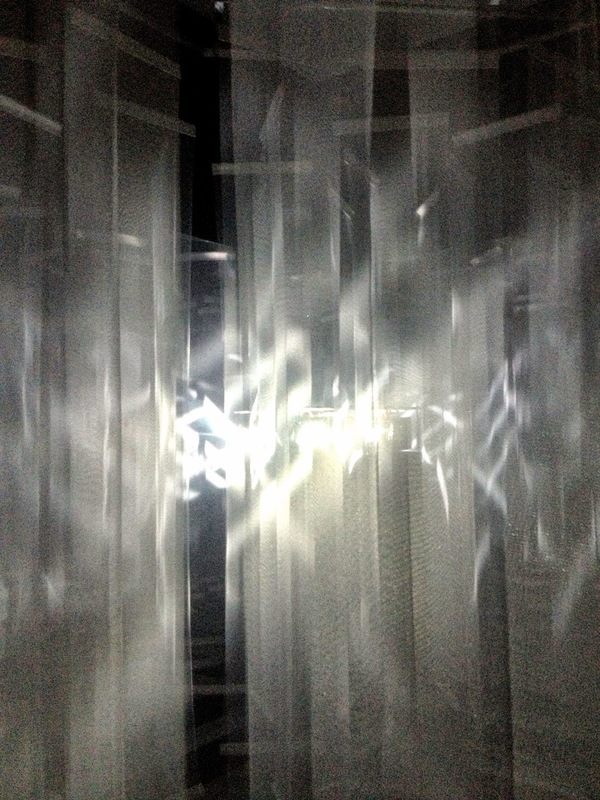 Every time the sheet changed, the reflection of light changed. I like the way that the reflection overlaid each other, construing a rich gradation. They are elegant. In this work, a lot of mirror paper were strung in the air, keeping swing, as well as their reflection. I was really impressed about how the light changes in his magic like hands. It was fascinating and remarkable. The materials are quite simple and straight forward, such as acrylic sheets, metal sheets, wood, and light. The light was changed into various forms, and it danced in different ways. 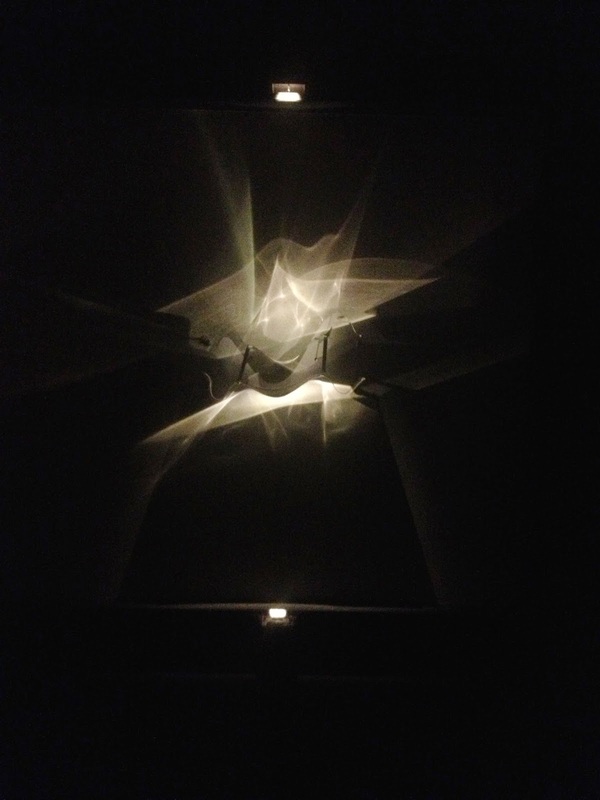 With the dark environment and mysterious flux of light, I only wanted to stare at his work, and cannot move my feet. I was considering since I am going to use some twisted acrylic sticks in my tank to create a sense of spacial confusion, adding more fantasy elements. Maybe I can try to hang some cutting acrylic as well. It might look great if they can reflect and refract the light.